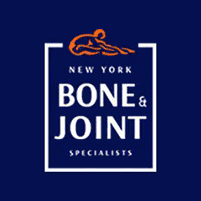 New York Bone & Joint Specialists always appreciates feedback from our valued patients. To date, we’re thrilled to have collected 22 reviews with an average rating of 4.59 out of 5 stars. Please read what others are saying about New York Bone & Joint Specialists below, and as always, we would love to collect your feedback. Dr. Ellie was very professional and did the necessary steps to diagnose my problem. She also gave me info to help with my aftercare. The staff was friendly and the doctor was very informative. Got to my appointment on time, but in one instance patient that arrive after me was seen before me. Otherwise the visit was good. Dr. Tarwala was very pleasant and explained everything thoroughly. I had an overall great experience. I would definitely recommend him. Awesome, courteous and caring staff. The doctor was very professional and caring and genuine. Driving Tarwala is the kindest doc I ever met. He was thorough and followed up with telephone call. I highly recommend dr Tarwala. I liked how he explained the issue and alternatives to fix my knee ailment. I had a great experience. I didn’t have to wait long at all and he is such a nice doctor. Very friendly and caring and I went for my knee and he said he would like me to try different things instead of jumping straight to surgery which most doctors do. I also love the fact that they have x-rays on site. Dr.M is always a professional. He answers questions clearly and is very patient. Dr. Tarwala is very patient and answers all questions. I went to him with severe knee pain. The Physical Therapy he prescribed helped me immensely as well as other treatments. I recommend him highly. It was pretty busy and hectic the day I had went over to the office but they made it their priority to get me in and out as soon as possible and I appreciated that very much. Dr. Leon Popovitz and his staff are one of a kind. I had knee surgery and was very uncomfortable but Dr. Popovitz and his staff provided me with understanding and comfort. He is a very skilled surgeon and the recovery was smooth and sooner than expected. Thank you Dr.Popovitz and his staff. I would highly recommend this office. I've been using the physicians in this practice for 19 years and have always been treated successfully...by Dr. Popovitz, Dr. Miziritsky and now Dr.Tarwala! I absolutely love Dr Tarwala! He has the best bedside manner of any doctor I’ve known. He is patient and willing to work with you to help with your ailments without resorting to surgery as a solution first. I’ve been to him for a number of issues: knee, ankle, back and torn labrum. I’ve recovered from all and am training for my first half marathon. Highly recommend! Good..now I’m going to have little surgery. Dr Rapesh Tarwala is a humble and caring man, great doctor, and excellent surgeon! Thank you for the new hip, so once again, I can enjoy walking and hiking!